Nine members of the Gustavus women's swimming and diving team have earned All-MIAC honors for posting a top-three finishes at the recent Minnesota Intercollegiate Athletic Conference Swimming and Diving Championships. The Gusties captured honors in ten events (six individual, four relays). 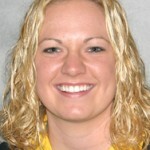 Sara Pfau led the Gustie contingent with six all-league finishes. Pfau finished second in both the 100 breaststroke and 200 backstroke and swam on all four honored relays. The Gustavus men's hockey team saw its season come to a close Tuesday night with a 7-5 loss to Bethel in the MIAC Men's Hockey Playoffs Play-In Game. The Gusties led 5-4 midway through the third period, but the Royals scored three unanswered goals to set up a date with top-seeded St. Thomas in the MIAC Semifinals Thursday night. Gustavus closes out its season at 14-11-1. The Gustavus softball team opened its 2006 season by dropping two games to #23 St. Scholastica last Saturday at the Softball Dome in Rosemount, Minn. 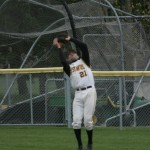 The Gusties lost 1-0 in game one and 14-7 in game two. Sophomore Julie Mahre went 4-for-7 at the plate with two runs scored and two rbi to lead the Gusties. The Gustavus baseball team returns all but three players from a team that posted a record of 21-18 overall, 11-9 in the MIAC (5th place) and just missed qualifying for a spot in the conference playoffs behind Concordia (12-8 MIAC). Coach Mike Carroll's 2006 squad features All-MIAC selections Ben Sherer (Sr., Bismarck, ND) and Anders Schmidt (Sr., Lakeville, MN). Tuesday night's Minnesota Intercollegiate Athletic Conference First Round Men's Hockey Playoff Game between Gustavus and Bethel will be webcast throught the Gustavus Adolphus athletics website. Jon Quinlivan will provide the call from Columbia Arena in Fridley. Game time is set for 7 p.m. You can access the live broadcast through this link as game time approaches. The Gustavus men's tennis team upset #1 California-Santa Cruz 6-1 to win the ITA Division III Indoor Championship on Sunday afternoon at the Swanson Tennis Center in St. Peter, Minn. 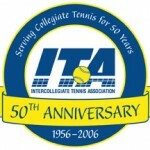 The Gusties, who were seeded third in the tournament and fourth nationally, claimed their third ITA Indoor Title in the six year history of the tournament. 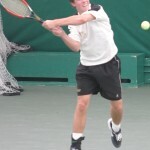 The Gustavus men's tennis team defeated #2 seed and defending champion Emory University 6-1 at the Swanson Tennis Center on Saturday to advance to the finals of the ITA Division III Indoor Tennis Championship. The Gusties will play #1 seed UC-Santa Cruz on Sunday, Feb. 26 at 9:00 am at the Swanson Tennis Center on the Gustavus campus. The Gustavus men's indoor track and field team picked up 16 top-three finishes, including five wins, at Friday's Pre-MIAC Invitational hosted by Carleton in Northfield. For many league schools, the meet served as the final competition before next weekend's MIAC Indoor Track and Field Championships, also hosted by Carleton. The Gustavus women's hockey team shut out the College of St. Benedict 10-0 Saturday night at Don Roberts Ice Arena. Molly Doyle (So., Eagan, Minn.), Jaclyn Dufault (So., Crookston, Minn.), and Stefanie Ubl (So., Blaine, Minn.) contributed two goals each in the final regular season game of the season for both teams. The Gusties move to 19-3-2 overall and 17-0-1 in the Minnesota Intercollegiate Athletic Conference. The Blazers fall to 4-16-3 overall and 4-11-3 in the MIAC. The Gustavus men's hockey team needed a win Saturday at Saint John's in order to have any chance of avoiding the play-in game of the MIAC Men's Hockey Playoffs or at least ensure that they would host, but could not pick up the weekend split with the Johnnies, falling 4-2 Saturday afternoon at the National Hockey Center in St. Cloud. Saint John's opened up a 4-0 lead after the second period and held on for the victory.